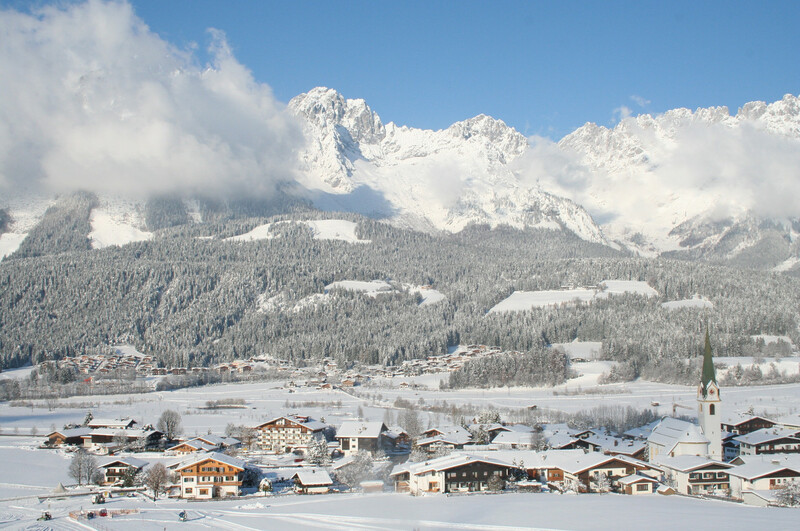 View the trails and lifts at Ellmau - SkiWelt with our interactive trail map of the ski resort. Plan out your day before heading to Ellmau - SkiWelt or navigate the mountain while you're at the resort with the latest Ellmau - SkiWelt trail maps. Select resorts also feature an additional trail map from partner, FatMap that provides a 3D view of the ski resort, including slope steepness and aspect, along with information on what it's like to ski each of the trails at Ellmau - SkiWelt. Last nights rain didn't seem to leave any problems with the conditions on the slopes today. From misty conditions in town, the gondalas take you up into sunny conditions up at the Harkkaiser 1555 station (photo) in the morning followed by cloud in the afternoon today. Slopes had good snow with no ice (but none of yesterday's powder left), although choppy moguls appeared late afternoon due to the slightly larger fairweather crowds (and queues).